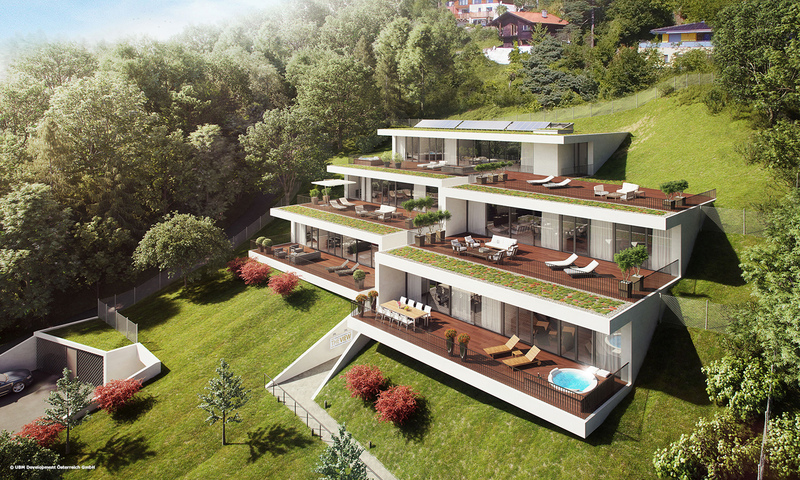 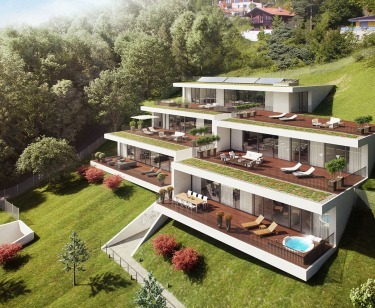 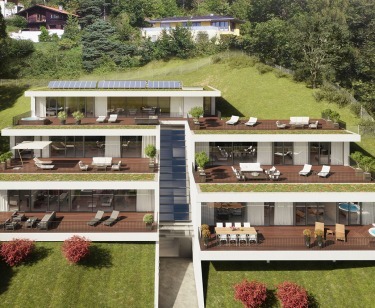 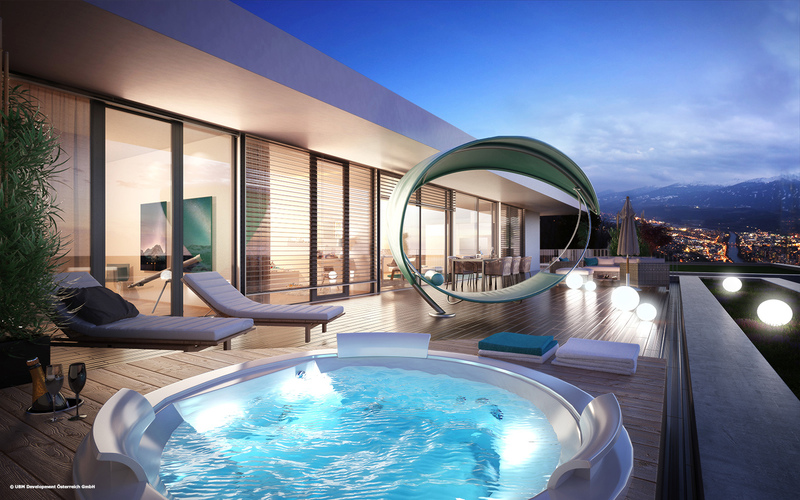 This exclusive apartment building is located at one of the best sites in Innsbruck. 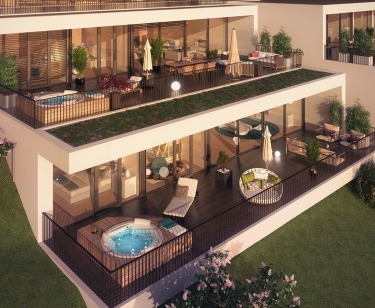 The elegant complex on the Höhenstrasse was completed in 2017 and meets even the highest expectations. 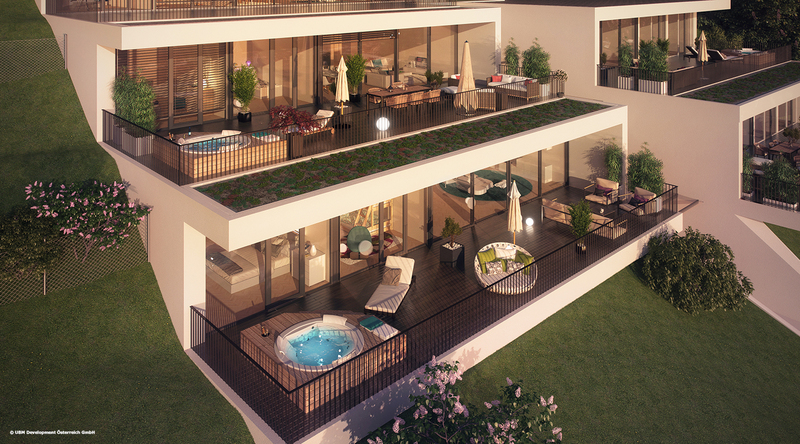 The modern terraces cascade down the sunny northern slope and give residents and visitors a stunning view of the provincial capital. 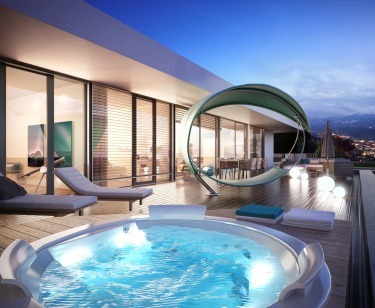 “The View” contains four exclusive terrace apartments as well as a penthouse. 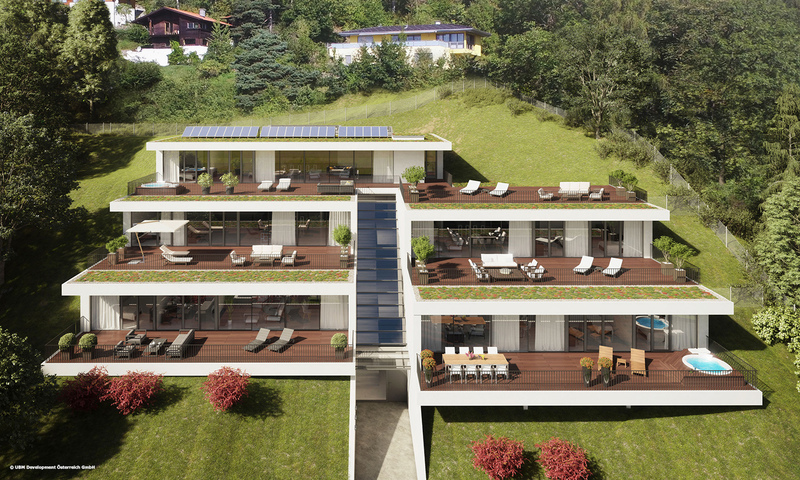 The private, shielded terraces are the perfect place to enjoy the breath-taking view of the Inntal and Central Alps.